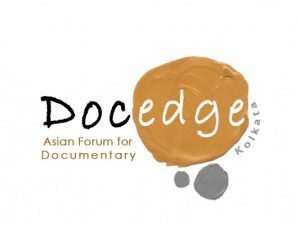 We’re very happy to announce that we will be awarding a brand new Whicker grant at this year’s Docedge Kolkata in India. The Whickers Docedge Bursary is worth £3,000, over 280,000 INR, and will be granted to a project elected for Docedge this March that best meets our criteria. In a nutshell, we are looking for an emerging director with a real flair for innovative storytelling and an ability to shed unique light into a hitherto unknown or unseen world. It is envisaged that the money will be used by the winner to continue the good work of Docedge, namely to secure targeted, international expertise to help the film find its audience in the world. Stay tuned for this year’s bursary winner, to be announced at the Goethe Institute in Kolkata on 10th March 2019. The Whickers were established in 2015 to fund and recognise original and innovative documentary. We seek to use the generous legacy of our namesake, pioneering broadcaster Alan Whicker, to support emerging film and audio documentary-makers in the production of authored programmes and to recognise exceptional audio that has already been broadcast.